Marc House, DPM, is a highly skilled foot and ankle surgeon who has more than 15 years of experience helping patients with a variety of foot and ankle problems. 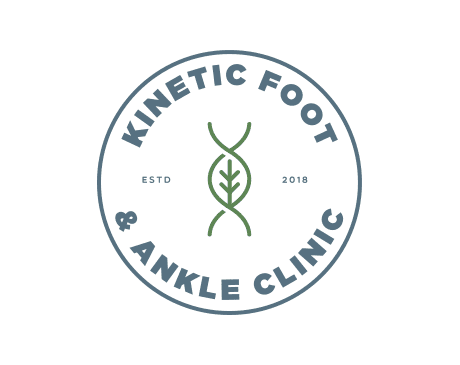 At Kinetic Foot and Ankle in Aurora, Colorado, Dr. House and his staff create custom recovery plans for each patient with a focus on personalized care and improving quality of life. He has a grounded and pragmatic approach to medicine, and believes in comprehensive patient care. Dr. House studied for his Bachelor of Science degree in biology at the University of Northern Iowa, in Cedar Falls, Iowa, graduating in 1997. He went to the College of Podiatric Medicine and Surgery at Des Moines University, Iowa, then completed his surgical residency at Westview Hospital, Indianapolis. Dr. House was chief resident during his last year in this rigorous residency consisting of a high volume of trauma and reconstruction, primarily working through the Indiana University Hospital System. Dr. House was certified by the American Board of Podiatric Surgery in 2008 and recertified in 2018. Dr. House gained valuable experience during his time working as a foot and ankle surgeon at Sharp Podiatric Medicine and Surgery, LLC, in Lone Tree, Colorado, and Podiatry Associates of Indiana, Indianapolis, before opening Kinetic Foot and Ankle Clinic in Aurora, Colorado, in the summer of 2018. He is a member of the American Podiatric Medical Association and a fellow of the American College of Foot and Ankle Surgeons. Dr. House is affiliated with the Sky Ridge Medical Center, St. Joseph’s Hospital, and Medical Center of Aurora. Dr. House is also a committed environmentalist, striving to achieve zero waste at Kinetic Foot and Ankle Clinic. When he is not in the office, he enjoys reading about our vast universe, hiking, and enjoying the outdoors with his two children.